xHarbour's PRG-level debugger is a powerful and useful tool in software development which enables you to debug your software in a matter of seconds. 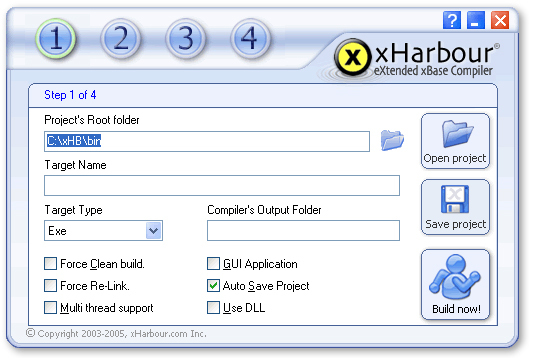 The Visual xDebugger comes with the xHarbour Professional and Enterprise edition and is available in both xBuild and Visual xHarbour, for Windows and Linux. Whether you are building serious applications or just exploring the power of xHarbour: the brand new xHarbour PRG-level debugger is a must have feature. With its easy-to-use interface you'll get your software bug-free in just a matter of seconds. Navigate through the process of debugging using Break, Continue and Stop. steps into the method at which the debugger is currently stopped if there is a method call on that line and breaks at the start of the called method. This enables you to observe execution incrementally. If there is no method call on the current line, it behaves like Step Over. executes the current statement without breaking and stops at the next statement. halts execution after the current method finishes and control passes to the caller. Using breakpoints allows you to execute your application without interruption until it reaches the first breakpoint. A summary of the current debugged process. This view gives information about the current execution position in the project and allows you to view any expression. It is also possible to type commands and expressions in the debugger (e.g. ? MyVar > 10). 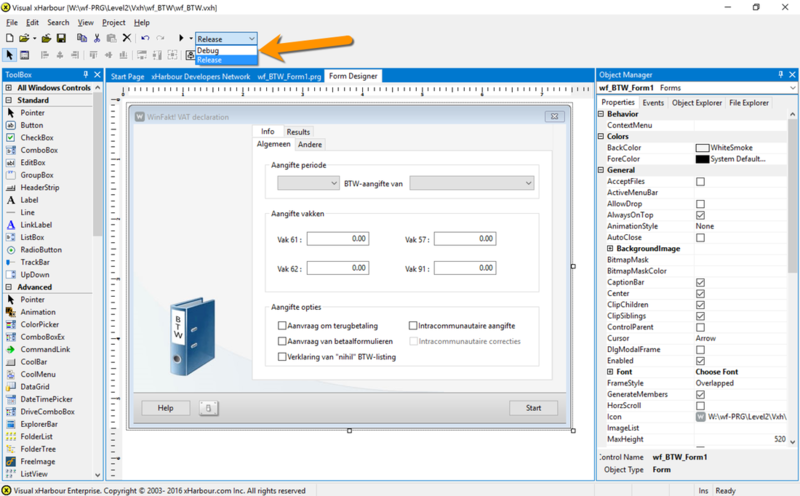 This view lists variables and their values as they evolve through the application. The listing can contain local, private, public and static variables. An overview of calls made during the application with information about the process, line number and filename. Debugging with xHarbour's xBuild has never been easier. Check the "Include Debug information" checkbox on the 4th step of the xBuild and that's all there is to it. When building your application, the debugger pops up and lets you take control over the debugged process. Enabling the debugger when building an application with Visual xHarbour is as simple as with xBuild. Just select "Debug" in the dropdown list next to the "Run" button and that's all there is to it! When running your application the Debug window is visible and you can start debugging your application.